Drug crimes most often are associated with drugs such as heroin, cocaine and meth. However, one of the largest drug issues in the country is the abuse of prescription medication. Law enforcement agencies throughout the nation have been trying to decrease prescription pill trade. Agencies often holding days in which residents can turn over unused medication to safely dispose of it. Frequently, people charged with illegal possession a prescription drug have been accused of “doctor shopping” or have been involved with “pill mill” pain clinics. However, that is not always the case. Sometimes people may have been getting a prescription for a family member, or were prescribed a medication from an illegitimate doctor. If you have been charged with illegal possession of prescription drugs in Florida, you can face very harsh penalties. This offense can lead to prison time, fines or both. It can be charged as a Florida state offense or a federal offense. 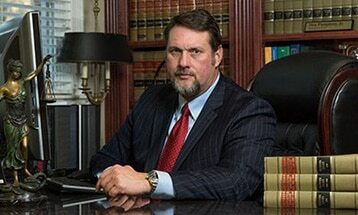 A drug attorney in Tallahassee can help fight the charges. If you have been charged with illegal possession of prescription drugs in Leon County, it is important to hire an experienced attorney who will fight for a favorable outcome for your situation. The attorneys at are experienced in fighting drug possession charges, and are knowledgeable about Florida’s drug laws. Pumphrey Law represents clients throughout the Florida Panhandle, including Bristol in Liberty County, Crawfordville in Wakulla County, Monticello in Jefferson County and Quincy in Gadsden County. Call (850) 681-7777 for a free consultation. In Florida, it is illegal to possess any amount of a prescription drug without legal permission, such as a valid prescription, according to Fla. Stat. § 893.13(6)(a). This means you cannot possess a prescription for another person or have a prescription from someone who is not authorized to write them. There are some exceptions, however, including medical professionals who are in possession of the medication or drug representatives who are required to transport the medication, according to according to Fla. Stat. § 893.13(9)(c). This means it would not apply to pharmacists, practitioners, common carriers and law enforcement officers when handling the narcotics in the course of their professions. Three types of prescription drugs commonly are abused, including opioids, which are highly addictive and typically prescribed for pain relief. Central nervous system depressants, like sedatives and tranquilizers, prescribed for sleep disorders and anxiety also are commonly abused. Stimulants used to treat conditions like ADHD, narcolepsy, depression and obesity often are abused, as well. College campuses throughout the nation have seen students use amphetamines, such as Adderall, to excel at their studies. However, possessing the drug without a legal documentation is a crime. Florida Statutes § 893.03 classifies prescription pills into different schedules, from Schedule I to Schedule V. Schedule I drugs usually have the most serious penalties, and Schedule V drugs have minimal punishment. Common prescription drugs are found in Schedule II, III and IV. Schedule I drugs have a high potential for abuse and no acknowledged medical use in the United States. These include morphine. Schedule II drugs have a high potential for abuse and a very limited accepted medical use in the United States. Prescription drugs falling into this category are OxyContin, Vicodin, Propoxyphene, Dexedrine, Demerol, Ritalin, Percocet and Hydrocodone. Schedule IV drugs have a lower potential for abuse than Schedule III drugs and accepted medical uses in the United States. Some examples of prescription pills in this category are Xanax, Ambien, Valium, Darvocet and Klonopin. A conviction for illegally possessing prescription drugs defined in Schedule I, II, III or IV is a felony of the third degree. This felony can lead to Florida prison time of five years or less, fines up to $5,000 or both. In addition, your driver’s license could be taken away. When a person is in possession of a large amount of prescription drugs, law enforcement officers may then charge the person with possession with intent to sell. It is unlawful for any person to sell, manufacture, or deliver or possess with intent to sell, manufacture, or deliver any controlled substance in Florida. This includes prescription medication if the person in possession does not have a valid prescription or other legal documentation. The penalty for drug distribution of a Schedule II narcotic is a second-degree felony. This offense carries a maximum prison term of 15 years and up to $10,000 in fines. Distributing Schedule III and IV controlled substances may be punished with a third-degree felony, which includes up to five years in prison and $5,000 in fines. If you have been charged with illegal possession of prescription drugs in Leon County, contact the attorneys at Pumphrey Law to discuss the specific facts of your case. An experienced drug defense attorney in Tallahassee can find applicable defenses to your charge, or any other mitigating circumstances. Our team of attorneys has represented those accused of illegal possession of prescription drugs in Florida, and will aggressively fight your criminal charge. Contact Pumphrey Law today at (850) 681-7777 for a free consultation about your alleged prescription drug possession offense.